Then go to your favourite web page and click “Wirify by Volkside” in your bookmarks toolbar – it’s as simple as that! Read the original Wirify introduction (Dec 2010) on the Volkside blog for background information and discussion. Wirify is created by Jussi Pasanen for Volkside in Melbourne. Follow @jopas, view Jussi’s LinkedIn profile or read his bio. Why would you use Wirify? The wireframe allows you to step back and see the big picture. By tuning out the detail it lets you study the building blocks of the page and their relationships. 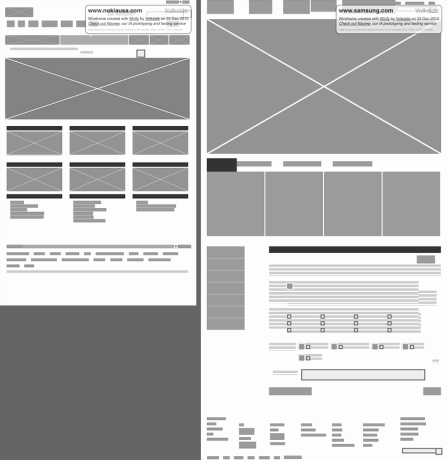 The wireframe is a great learning and teaching tool. 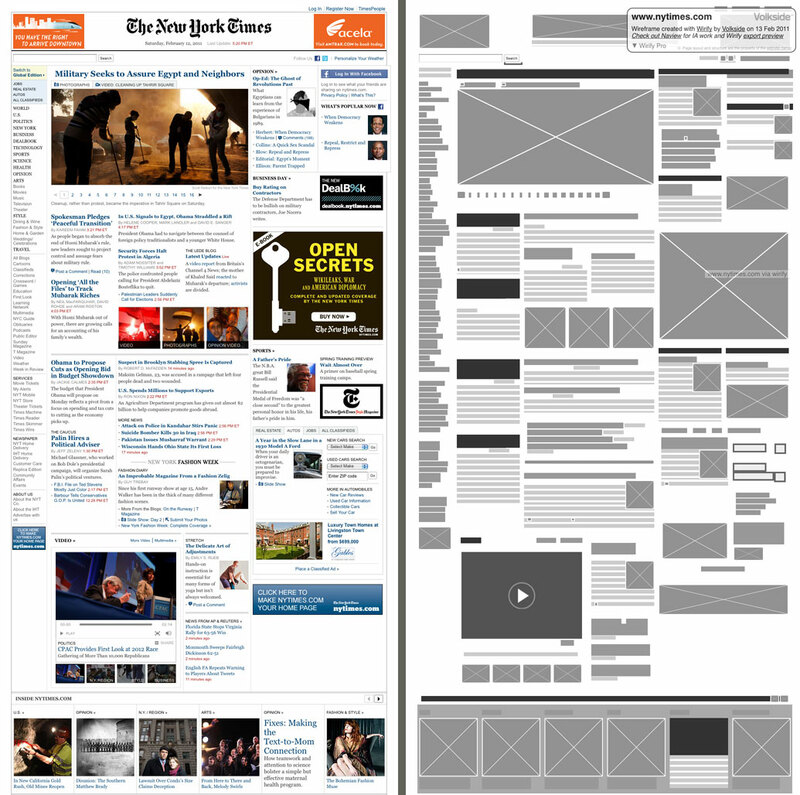 Many of the design concepts that underpin page layouts become easier to identify and analyse in a wireframe. Think visual hierarchy, whitespace, symmetry, chunking, grid systems, golden ratio, rule of thirds, etc. etc. The wireframe is a useful redesign tool that stops you getting bogged down in detail in the very early stage of a website redesign project. New: Read a case study on how one of our customers are using Wirify Pro to speed up their website redesign project. How this is helpful: Biases are a hard thing to turn off when you’re looking at a site’s structure. It’s almost impossible not to be swayed by the content of a page when you should be evaluating the underlying architecture. Wirify.com has been great for when I want to illustrate what makes a site great without people being distracted by the site itself. Sometimes I’ll Wirify something, take it into photoshop (or print it out) and write labels on the boxes to show how an idea would work for a project. Thanks Andrew for sharing your experiences! The page layout and structure of each example are the property of the respective website ownes.